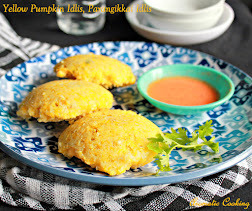 On weekdays, our morning breakfast is mostly idlis and dosas, I always have the idli/ dosa batter, and on those days that I don't have it, I make these instant dosas with ragi or bajra flours, which are not only healthy, but very easy to make too. 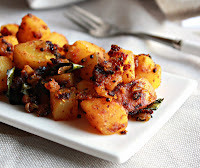 They come out very crispy and yummy and go very well with both chutneys and sambar and I have added some coarsely powdered cumin and pepper and some curry leaves which gives a nice flavor to the dosa..
Coarsely powder the cumin seeds and black peppercorns. Take the ragi and rice flour, salt, cumin-pepper powder and curry leaves. 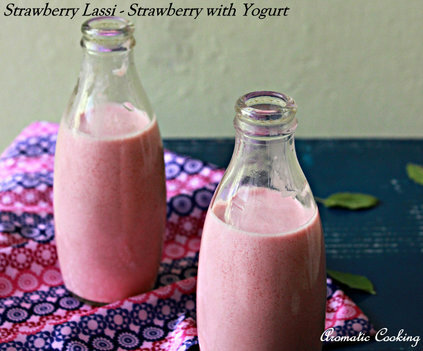 Add 3 cups of water and make a smooth batter without any lumps. Heat a skillet, reduce the heat, take about 1/8 cup of the batter, pour in a circle, starting from the center to the end, if the skillet is at the right heat, you'll see holes forming immediately in the batter. 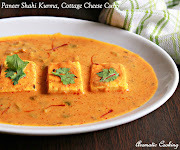 Drizzle some oil around and over the dosa, cover with a lid and cook till the top looks cooked and you can flip the dosa. Once you flip the dosa, cook on the other side for a minute and remove. 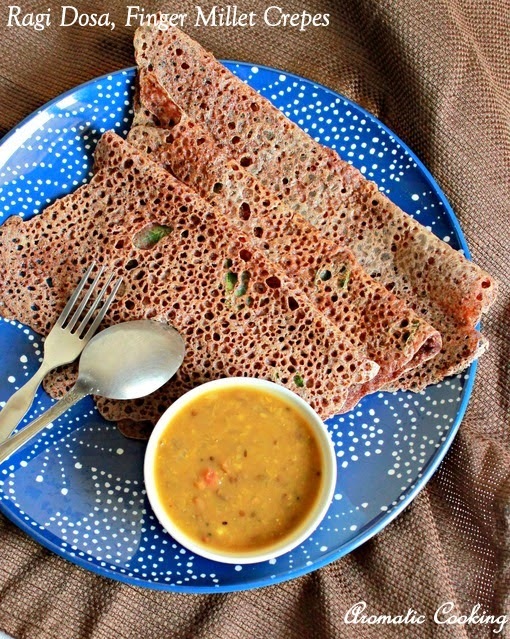 These lacy crepes/ dosas taste delicious with onion, tomato or coconut chutney. The batter should be watery, and you cannot spread the dosa with the laddle, you have to pour the dosas from the center to the edges ( like rava dosa ), and you'll hear the sizzling sound and also see the holes forming in the batter, if the skillet is not hot enough or the batter is too thick, then this will not happen. Perfect dosas come with practice. Sending it to the ' Come, Join Us For Breakfast " event at Cooking 4 All Seasons. 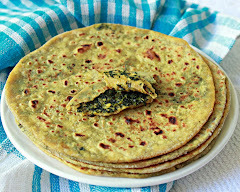 healthy and easy dosa recipe. nice clicks. Super like, my all time favourite dosai, love simply with coconut chutney. healthy & yummy dosa. Awesome clicks!! They look so pretty! 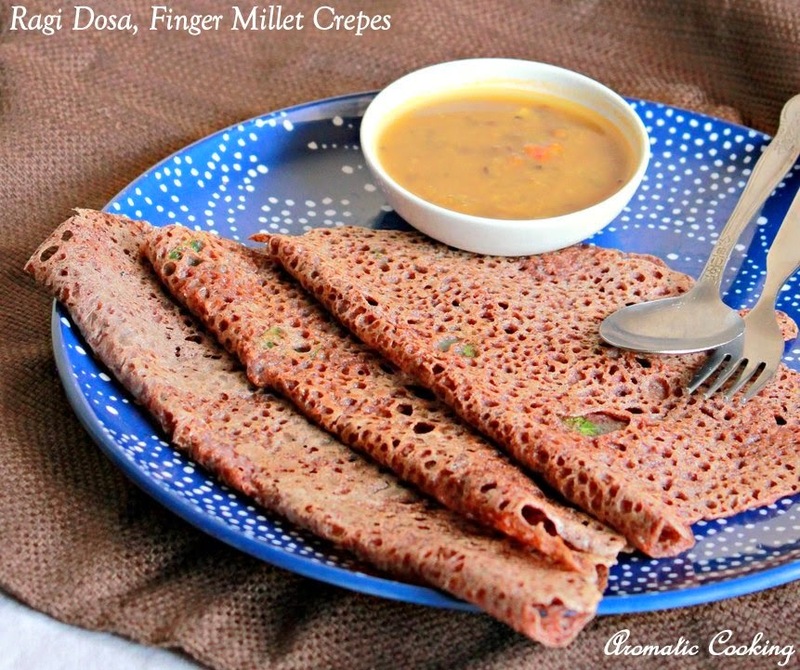 Have to hunt down some finger millet flour to try. Delicious and healthy dosa, has come out so well..